Synthetic stone siding, also known as faux stone is a manmade type of stone that closely resembles real stones. Synthetic stone siding is created by using a high-density material such as polyurethane and pouring it over real rocks to mold it. The result is a stone panel that has a natural looking shape and texture. Faux stone can also be made to look like limestone or natural round stone in varying shades to mimic the color of the actual type of stone that is being replicated. Faux stone siding comes in panels that are usually installed similar to the way that vinyl siding is installed. There are several different types of synthetic stone siding. Below we examine a couple. Lightweight material is used to replicate real stone by casting aggregate materials with concrete and color pigments. It has the appearance and the texture of real stone but is lightweight. It is installed by pressing the panel over a layer of mortar. The grooves between the simulated stone can be grouted the same as real stone for a natural look. Faux stone veneers are made by pouring a liquid mixture into molds where it will set up into stone-like shapes. The resulting shapes have the appearance of real stone. The stones are installed individually by setting them in mortar. Synthetic stone has many benefits. It is much easier to handle because it is lighter than real stones. Faux stone is impact resistant and virtually maintenance free and does not need to be painted. The best way to maintain it is to hose it down a couple of times a year to remove unwanted materials such as grass clippings and dirt. Synthetic stone is just as durable as real stone but more affordable. It has the added benefit of increasing the insulation value of the wall it is attached to. Higher insulation values translate to increased efficiency of the homes heating and cooling system. Not only will you save money, you will be helping the environment by using less energy. There are many options to choose from so that you can create the perfect stone look for your home. The panels and faux stones can also be used to create fake stone pillars, garden walls and other decorative items around the house and yard. 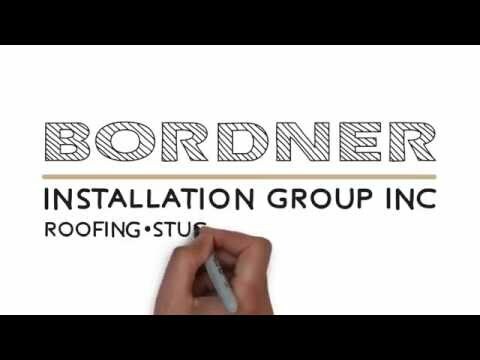 Contact the Bordner team for additional information on synthetic stone siding for your home or ask the stone siding expert your questions right here. Fill out the form below to speak with one of our experts about your upcoming project. Do you think you have hail damage? From roofing to windows to gutters and more, we can help. The home installation salesman was very helpful. He came when they installed the windows and stayed the whole time to make sure I was happy with the job. The salesman and the crew foreman were both highly professional and responsive to questions and to job requests. Are Replacement Windows Tax Deductible? Can a New Roof Get Hail Damage? How Can You Tell if You Have Hail Damage on Your Roof? How Much Do Roofing Contractors Charge per Square Foot? How Much Does It Cost to Put a New Roof on Your Home? How Long are Windows Supposed to Last? How Long Do Roofs Usually Last? How Long Does It Take to Complete Bathroom Remodels? What Are the Best Bathtubs? What Does a Roofing Contractor Do? What Is a Good U-Factor for a Window? What Is a Shower Made Out Of? What Is James Hardie Siding Made Out Of? What Is the Average Cost of Installing a Walk-In Tub? What Is the Best Energy Efficient Window? What Is the Difference Between New and Replacement Windows? What Percentage of Heat Is Lost Through Your Windows? What Replacement Windows Are Best? Which Replacement Windows Are Best? Which Roof Shingles Are Best? How Do You Clean a Walk-in Tub? What Size Hail Can Damage a Roof? What Material is Best for a Bathtub? Do All Vinyl Windows Warp? Are Casement Windows Energy Efficient? How Long Does It Take for a Walk in Tub to Fill Up? What Is Better – Wood or Vinyl Windows? How Can We Reduce Heat Loss from a House? How do you Clean Onyx Tiles? What is Onyx Tile Made of? What is the Life Expectancy of Vinyl Windows? Which Vinyl Windows are the Best? What is Onyx Stone Good for? Is Onyx and Marble the same? How Often Do Vinyl Windows Need to be Replaced? Are Vinyl Windows Better Than Aluminum? Is Onyx a Durable Stone? Get a price on a product. Please fill out the form below to request a price.